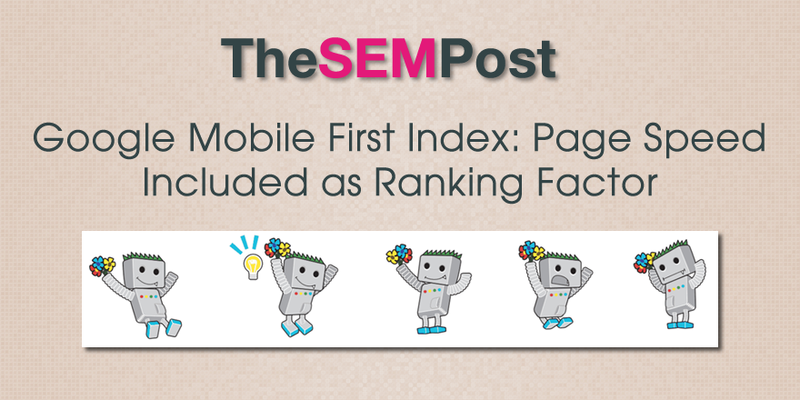 Mobile First for indexing seearch results is important in itself, but no page speed is also becoming more important. I love the changing nature of SEO. There is that very unfortunate common misconception about what “page speed” is. Many people think “page speed” equals the Google PageSpeed Insights Score while the actual speed of a page would be it’s load time which PageSpeed Insights doesn’t even measure. Would you be able to clarify how you use the term “page speed” in this article? Are you saying the score from Google PageSpeed Insights will be a ranking factor? Or are you referring to actual page load times (as in: milliseconds until a document is rendered) as a ranking factor. Disclosure: I do customer support for a WordPress caching plugin, and the distinctions of “PageSpeed” (Google score) versus “page speed” (load times) causes quite a bit of confusion amongst our customers. Would appreciate clarification a lot, thanks! Google hasn’t clarified beyond page speed for mobile first specifically, but they have said they will share more information closer to the launch. But generally, if your site is already fast and you increase it a bit, it won’t do much. But if your site is really slow loading for users, then it would be impacted.